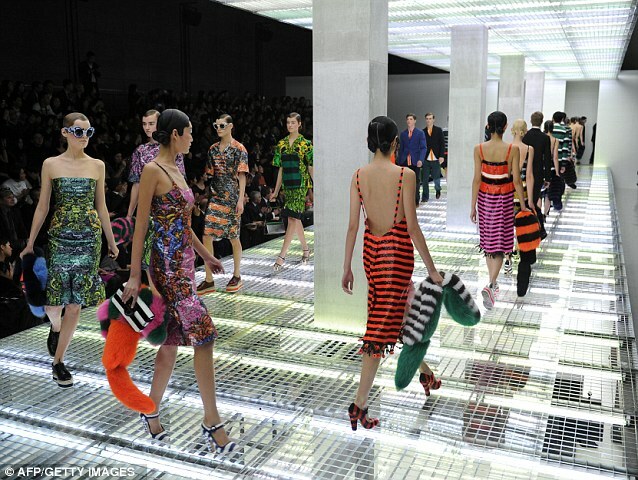 Miuccia Prada, the designer behind global fashion house Prada and its more playful line (inspired by her own style and nickname) Miu Miu, has defended of the high cost of the label’s designs, calling those who disagree ‘hypocrites’. One beaded jacket by Miu Miu costs nearly £3,000, an amount most people find hard to justify, but Miuccia says such hefty price tags simply reflect the cost of ethically producing high-quality products. She says those who demand high-quality and fair working conditions but low prices ‘hypocrites’. 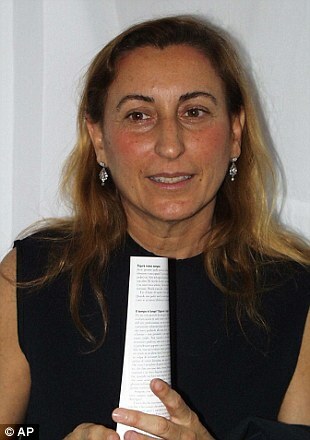 Speaking to Women’s Wear Daily (WWD), Miuccia said: ‘People [who] are intellectual leftists, they say I am expensive and horrible: “How can you sell clothes at that price?” Simply, it’s the cost. Alongside her husband, Prada CEO Patrizio Bertelli, Miuccia heads up the global conglomerate, which also owns labels Fendi, Helmut Lang, Jil Sander and Azzedine Alaia. A favorite with celebrities, a single pair of Prada shoes can cost upwards of £700, while handbags are often over £1000. Miuccia’s defence of the company’s cost – citing trying to create an ethical production line in which workers are treated fairly and materials source responsibly – echoes a sentiment across the fashion industry. Many high street brands, such as H&M, have brought out ethical ranges recently, reflecting a growing public awareness of exploitation within the industry. She also talks in the interview about her dislike of online shopping and e-commerce, into which most designers are rapidly expanding.